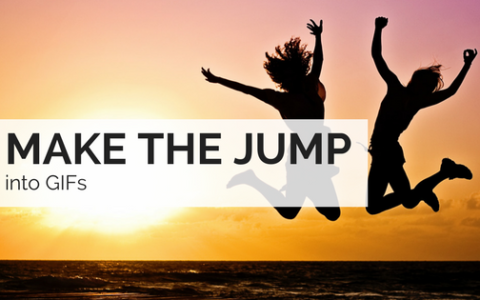 We’ve all heard that images are a must-have element of your social strategy. A scroll through your feed on any social network will show you just how pervasive images have become in social media. Our eyes are automatically drawn to images, so we often jump over plain text posts in favour of those with visuals. But, not all images are created equal. You can’t just use any image for any post. Finding the right image is the key to being a photo-posting pro. Posting the perfect image is a matter of thinking about simplicity, context, and accessibility. Your photo must be easy to understand, fit with the rest of your text or link, and be easy to see on any platform. With SmarterQueue’s built-in image search feature, finding the perfect image has never been easier. If the majority of your social posts don’t have images, you’re doing something wrong. A 2016 survey showed that 74% of social media marketers are using visual assets in their social media marketing, more than both blogs (68%) and videos (60%). Businesses have found images to be a powerful tool to grow awareness—users are much more likely to remember information when paired with a relevant image than if they receive this information on its own. Images are easier for the brain to process than text, and an excellent way to share your message with your audience. It’s also been proven that tweets with images regularly receive more likes, clicks and retweets than posts with text alone. On Facebook, posts with images see 2.3x more engagement than those without. These engagement numbers are reason enough to use images with most, if not all of your social posts. But how do you know if your image is the right one? Read on! The best image to accompany any social post is one that doesn’t over-complicate the message. Busy, over-stimulating images will leave your followers wondering what you’re trying to get across. 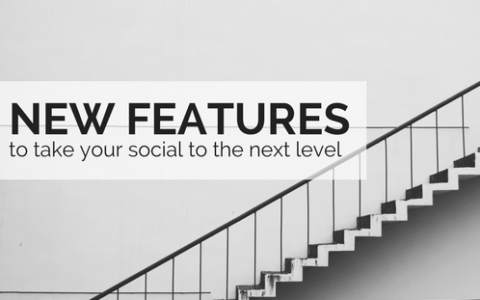 The best social images are uncomplicated and easy to follow. Think about what you want your image to achieve, and what you want people to do. Do you want people to click through to your company blog? In this case, make sure your image is attention-grabbing enough to incite a click. Or perhaps you’re running a promotion and need an image to grow awareness. Here, look to find an image that speaks to those you’re looking to bring in-store. 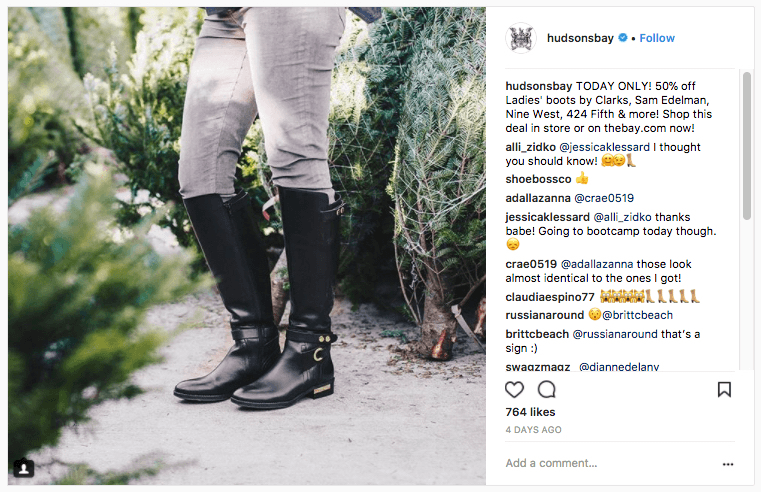 Check out this example from Hudson’s Bay, which uses a simple image to draw customers into stores. Your chosen image will waste a lot of its potency if it’s cropped or resized such that its message is lost. To look professional, make sure your images are sized to the appropriate dimensions on each social network you’re using. In general, it’s best to keep a 2:1 width to height ratio to ensure your image isn’t compressed or cropped in any way. SmarterQueue does this for you automatically and will scale your images to each social platform, with an accurate preview of how everything will look before you hit share. It can be hard to find the right image when you’re in the middle of creating a post. Thankfully, SmarterQueue makes it easy to find a great photo while writing your post. Search Pixabay, Unsplash, and Giphy for the perfect social images without ever opening another website. Insert these high-quality, free images into your posts with just a few clicks. With the right images on your social posts, your audience will keep coming back for more. SmarterQueue is the only social media tool with the built-in ability to search for images. Never waste time looking for an image again! It’s the easiest way to do social media. Properly.